How to take down your Basic Angelically Natural Crochet Installation. Hi ladies, so this video was designed for my students but since many of you has been asking for a tutorial on how to do a take down, we've decided to share this with you as well! As you see the first thing we do is cut the hair down to almost a buzz cut to expose the workmanship underneath. The hair installed in this video is our Goddess waves and the method used is our non-slip method. With this method I like to use what is known as a seam ripper to undue the loops instead of the scissors. 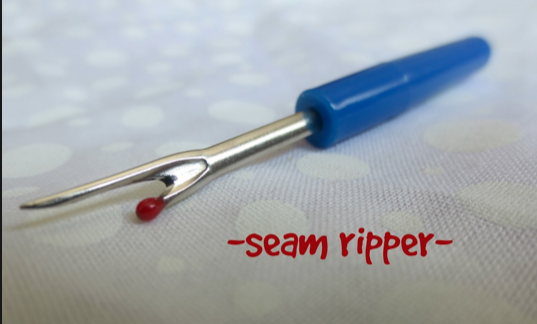 A seam ripper allows you to have more control than a scissors which is my reason for using it. As the hair grows out and depending of the contrasting color of the hair it can be hard to tell the difference between the two during the take down especially if you're doing it by yourself. Thats why it is our preference to use the seam ripper to undue the loops instead of feeling and cutting. Make sure you position the pointy end of the seam ripper into the loops to cut and undue it. How to Maintain your Crochet. © 2019 Angelically Natural TM. All Rights Reserved. Sign Up Now and Stay in the Know!! Be the first to receive discounts on Hair, Booking, and Upcoming Classes!! Be the first to know about Our FREE Install Give-aways, Receive Promotional Discounts, New Hair Alerts and more! Don't worry we wont be spamming you just letting you know about great new things.